In recent years, social media has evolved to become the voice of the masses. Whether it is joy, fun, anguish, disinterest, or even dislike, individuals find solace after posting what they feel, on social media. Normally, such emotional outbursts are fine as long as they do not come into direct conflict with anyone or anything. 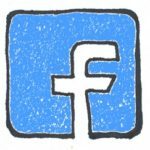 However, there are situations when you post something on social media (for example, any outburst relating to your work or any colleague), and suddenly your personal and professional worlds threaten to collide. As long as you take care of what you put on social media, you don’t need to worry about putting your job at risk. 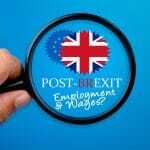 Having said that, let us take a look at the various aspects that connect social media with employment, and how employment law can come to your rescue should anything go south. Nowadays, it is quite common to hear stories about people getting fired from their jobs over comments they made or posts they shared online. But it does seem hard to figure out how exactly this risk can be avoided. Although employment law is adapting to the changing ways of the world, the regulations regarding dismissals and discipline over personal social media updates are still something of a grey area. Usually, employers in the UK have a social media policy in place that covers the use of social media sites at work. However, not all such policies are able to cover the usage of social media use outside work, so this may not help much. Even if you take enough care to use privacy settings, trying to make sure that your posts are only visible to your friends, this is not a sufficient defence, especially if something you post online ends up going viral on the platform. The only guaranteed way to keep yourself protected is to avoid putting anything online that would otherwise, enrage your employer. 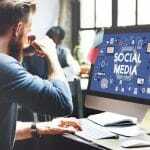 It is true that you should not allow your job to rule every little aspect of your life; however, there are some things that are best not to go on social media, especially if you prefer avoiding problems at the workplace. This comes as a no-brainer. If you don’t want to risk disciplinary action at work, avoid sharing any negative comments about your job on social media. While it is quite common for employees to discuss any job-related concerns with your friends at work, you must remember that posting negative things about your job online might land you in deep trouble, especially because you can never be quite sure about who will see them. Very few employers may take kindly to their employees disparaging their company publicly, if any. If you post or promote insults about the company, its products, or practices, your employer will likely see you as the one bringing the business into disrepute, and therefore, could get you reprimanded or dismissed. Your employer may even take legal action against you, citing defamation if your posted statements are particularly harsh or untruthful. You may have a valid reason to be angry with your bosses but social media is not the right medium to address or deal with workplace issues. Using social media to post personal insults to the people you work with, is probably not a good choice for a number of reasons. First, there is an obvious chance that the object of your insults – your manager or colleague, may see your comments. Subsequently, he or she may accuse you of bullying or harassment. Even if the person you insulted, may never stumble upon your post, what if your employer finds out about the bad mouthing and gossiping, and investigates the issue? They may take relevant action against you for spreading discrimination or damaging relationships between employees. 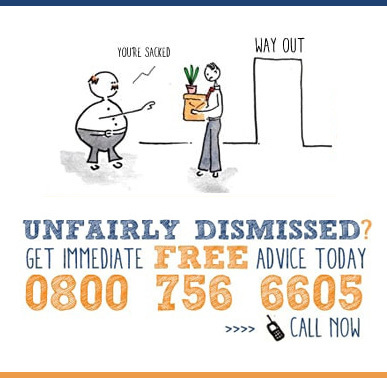 Depending upon your exact statements, you may even be penalised for ‘gross misconduct’. You might believe that it’s probably safe to take to social media and complain about a difficult client or an annoying contractor because they don’t actually work for your organisation. However, your employer may think that such an act can potentially bring disrepute to the company or cause damage to important business relationships. Furthermore, even people who are least connected to the whole situation may judge your comments as unprofessional and notify your employer. Along with deliberately defaming your company, comments posted on social media might also be perceived as potentially breaching confidentiality. In general, workplaces are likely to have a policy in place to help ensure that trade secrets always stay under wraps. Your employers may legally bind you to follow data protection rules. give hints at unreleased products your company might have been working on. Overall, no employer wants their employees to give away secrets to competitors or jeopardise the company’s integrity through any breach of data protection regulations. Therefore, take care with what you comment on social media. While posting something offensive online may not always amount to criminal behaviour, you might still see yourself get into trouble with your employer. 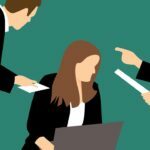 Your seemingly harmless off-colour jokes or mildly-offensive posts could make your employer believe that you are bringing a bad name to the company, especially if the content is rather too closely tied to your job. The company could then bring disciplinary proceeding against you for Gross Misconduct.